Why might you consider short selling your home? A short sale can be an appropriate alternative to a foreclosure. It is where a borrower considers selling a home for an amount less than its fair market value because he or she can no longer afford to make payments toward the mortgage as per the contract. 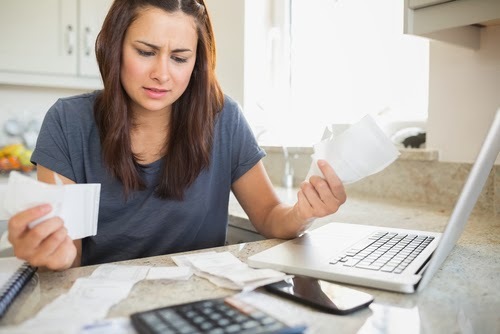 When you are distressed, you have two options: to let the lender institute foreclosures or to request the lender to accept a payoff less than what you owe on the loan. A short sale process involves five key steps before a deal is closed. First, the distressed homeowner must write to the lender stating his or her intention to sell a home on a short sale giving reasons to back the decision. Your Las Vegas Real Estate Agent can submit this hardship package for you. The seller will be required to sign a listing agreement with a chosen realtor (Call 702.482.7739 to get help now) agreeing to all the selling terms, but subject to third party approval. Secondly, the real estate agent attracts a buyer who then submits an offer for less than the outstanding mortgage loan. A good Las Vegas real estate agent who understands the short sale process can be of great help in finding a buyer who can make an attractive offer. Lori Ballen has a comprehensive marketing program specializing in online marketing that reaches a national audience of ready and willing buyers. Thirdly, you will evaluate the offer against your balance, and upon agreeing, you will let the buyer propose the date on which the payment shall be made. If the buyer is buying through a loan, the purchase offer must be approved by the lender’s bank. Lastly, the transaction is completed when a buyer remits the money as the original lender (seller’s lender) releases the lien. The seller will be required to surrender the deed to close the deal. It is not your fault that the Nevada housing market is taking a while to rebound. If you are faced with financial troubles that are causing you hardship which leads you to not be able to pay your mortgage loan as agreed, you need to look at how the market is performing before you take the next step. If the market is on its lowest and there is not projection of an improvement, you don’t want to hold on to your home and pay more than the home’s equity. Short sales are a potential way of freeing you and your family from the financial woes and taking a fresh route to reconstruct your finances. Allowing your home to be foreclosed can be detrimental in all aspects. First, you suffer the agony of not letting go an unsustainable project. Accepting the reality of the situation and moving on is an excellent way of making up for the same. A short sale could be the right situation and free you to start a new life free of stress while protecting your record from a Nevada Foreclosure. Foreclosures have devastating implications, including damaging your credit. A foreclosure means you rub shoulders with your lender, meaning you risk being sued by the bank. Facing judicial foreclosure can wear you down, especially because the entire process if lengthy and expensive. When you allow your home to be foreclosed upon in Nevada, you open up chances of being legally liable for all the losses, since the bank reserves the deficiency rights. This may attract a deadly deficiency judgment lawsuit. On the other hand, a short sale is a friendly way of saying “I can’t afford to pay you.” After you successfully complete a short sale, a bank will issue a 1099-C (cancellation), which is a legal document showing that you have been relieved from the debt. Here, the lender will not come after you to demand any money in the form of fines, or penalties. Going it alone in a Las Vegas short sale process can be daunting and disastrous. Hiring an experienced realtor such as Lori Ballen and her team of Las Vegas Short Sale Agents at Keller Williams Realty Las Vegas, who knows the in and out of the Nevada short sale procedures can go a long way in saving you the pain and time. Some banks take advantage of inexperienced realtors with no proven experience with Las Vegas short sales. A good realtor with The Ballen Group will help stage a better bargain and negotiation. Knowing the consequences of a short sale, working with a highly skilled short sale expert is essential in helping you go over the situation as quickly as possible while maintaining your rights and dignity. If you are looking to buy or sell a home on a short sale in Las Vegas, you should contact a reputable, reliable and experienced short sales expert to help you make the most from the process while protecting you from any potential losses that befall many people. 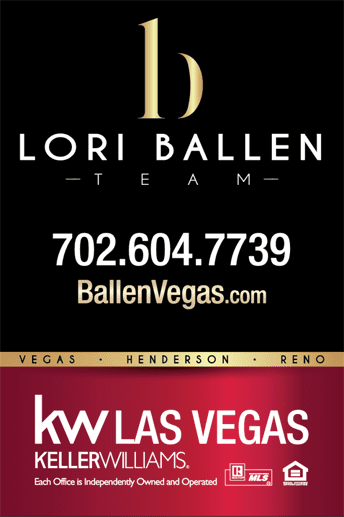 Lori Ballen and her team at Keller Williams Realty Las Vegas is here to help. Call 702-482-7739 now.